Yesterday, President Obama threatened that if the debt limit is not raised by the August 2 deadline, he can’t guarantee that Social Security checks will go out. 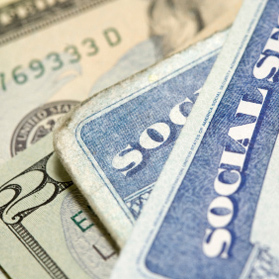 This begs the question, if Social Security is fully funded and not in crisis, why is it necessary for the government to go deeper into debt after August 2 in order for recipients to get their checks? The reality is that the money in the trust fund was replaced with Treasury Bonds and spent almost immediately on other programs. The government must tax or borrow more to make good on the promises. A trust fund filled with IOUs for money the government owes itself is the same as having no trust fund at all.